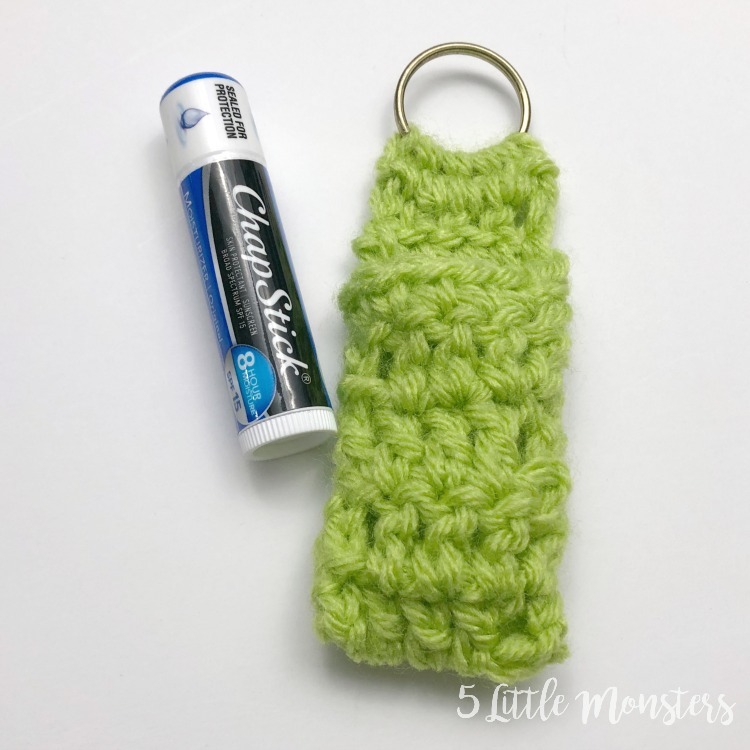 Today's gift idea is chapstick holders. Who doesn't need chapstick in the winter time? And they are so easy to lose. 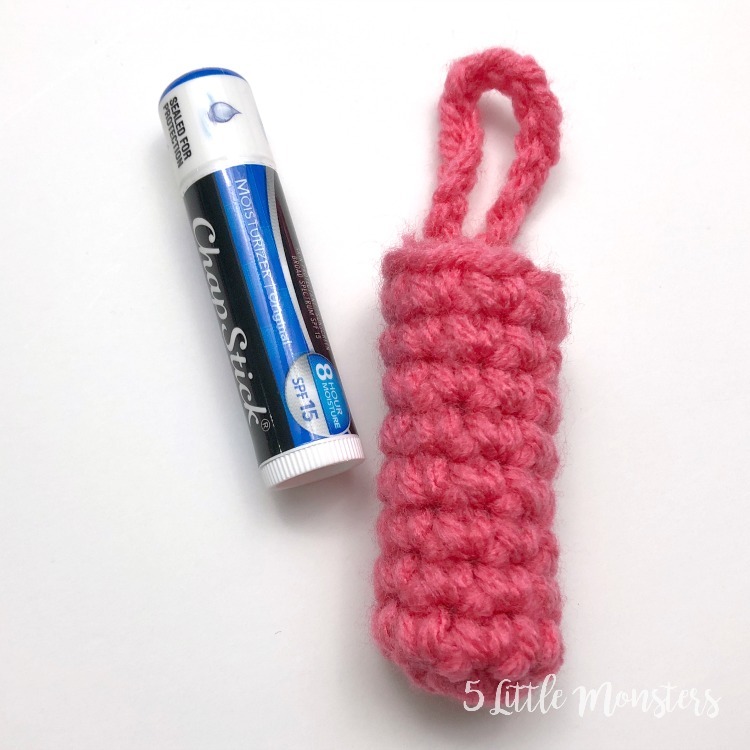 I know I will buy a pack of chapstick and before I know it the kids have taken some and probably lost them, one has gone through the wash, and the others have been misplaced. 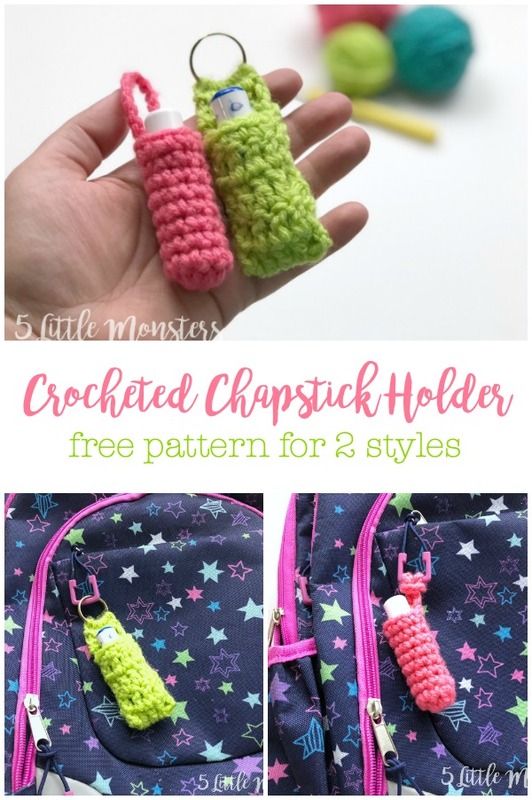 With these super easy to make chapstick holders, hopefully they will not get lost quite as fast. 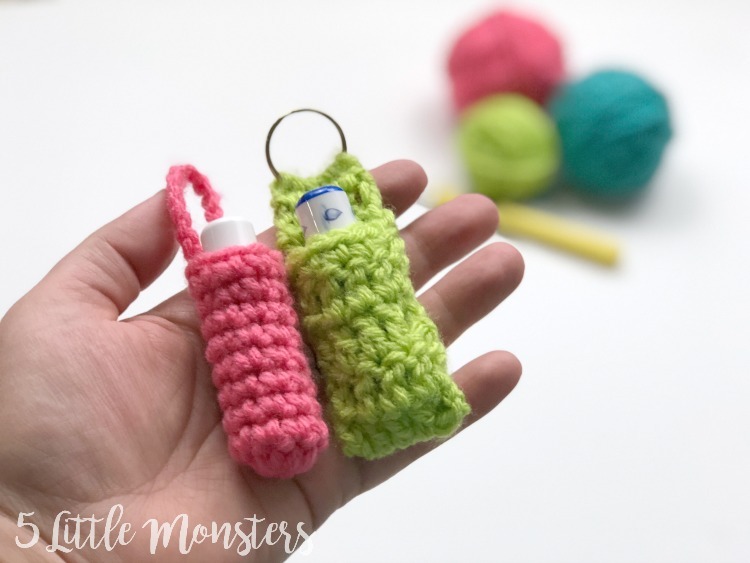 I made 2 different styles, one with a crocheted loop, and one attached to a keyring, either one can be attached to a backpack, purse, or keychain. 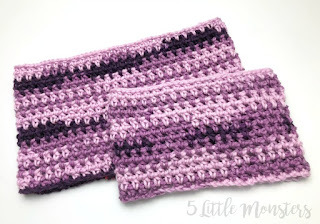 The pink one is based on a pattern I first made shortly after I started my blog. I didn't write it out very well at the time so I decided it was time to redo it. It is a simple tube shape made with single crochet stitches with a chain loop. 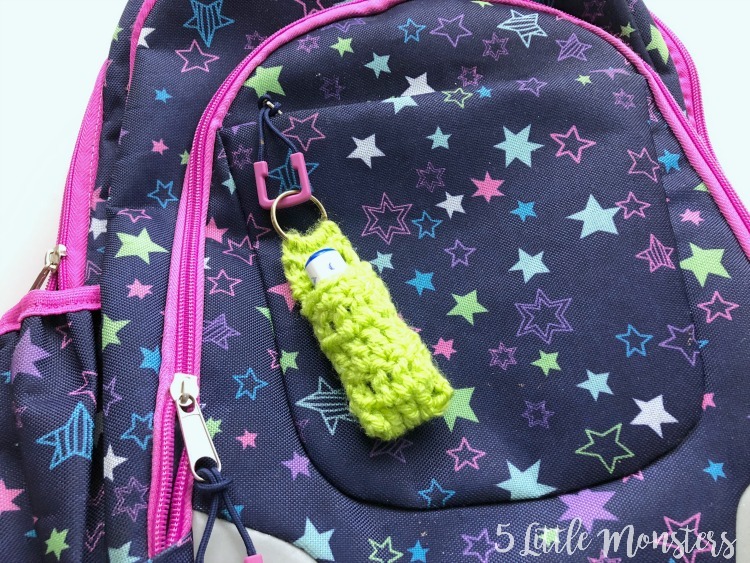 The loop can be put through a keychain or zipper pull and then the tube part pulled through the loop to secure. 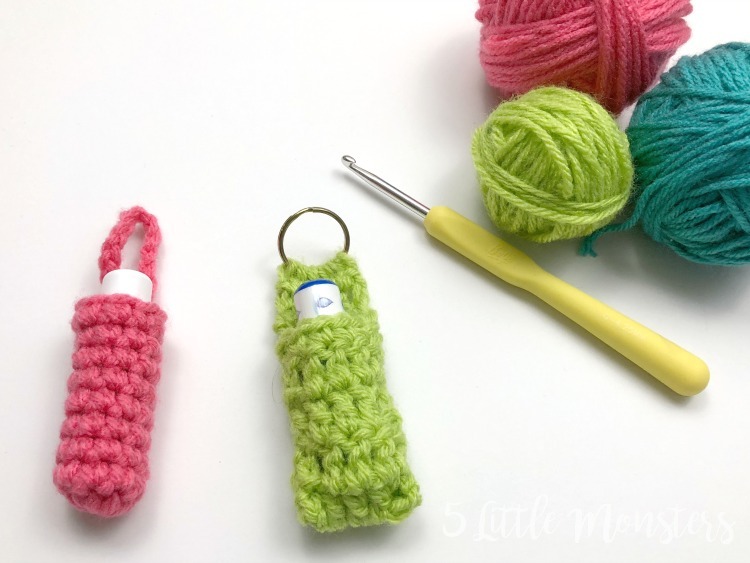 The second version is made of a long strip of double crochet stitches crocheted onto a keyring which is then folded and seamed up the sides to create the pocket for the chapstick to fit into. 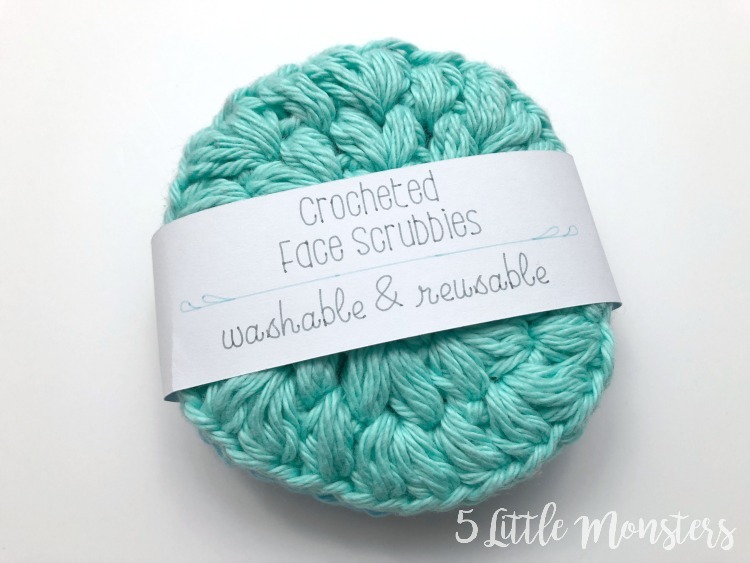 Both are really quick and really easy projects to make, they only take a very small amount of yarn so they are great for using up scraps and small balls of yarn. 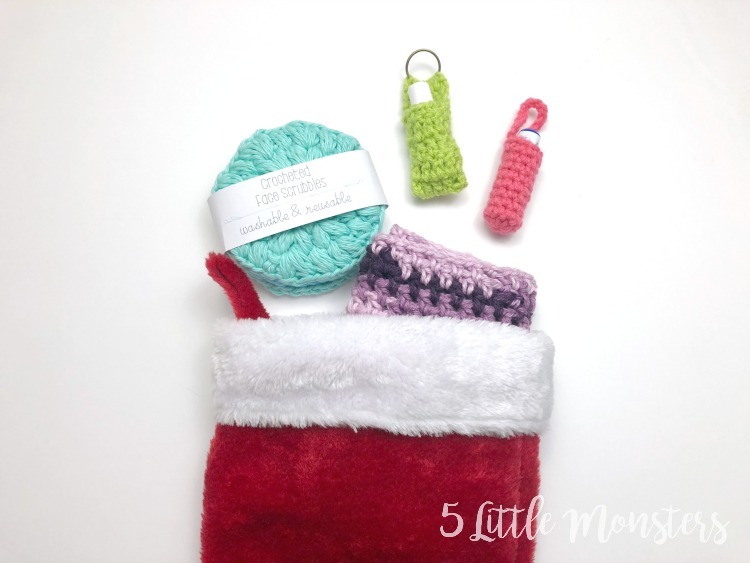 These are the perfect stocking stuffers for any age, or you can make them as small gifts or favors to give out, or you could even make a bunch as a small item to sell at craft fairs. 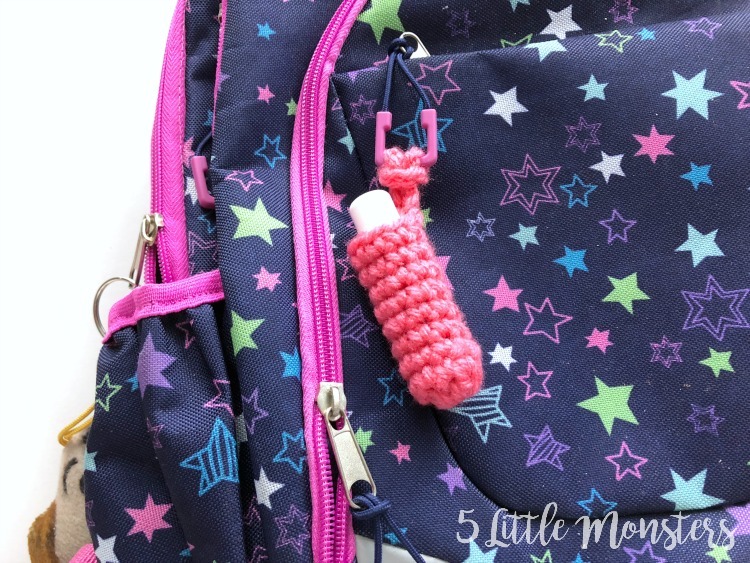 Have you actually ever used an entire chapstick? I wonder where they all end up!